In practice, there are many more browser types than suggested above, which might exist in a large range of versions. As such, coding and testing to make sure that your website works for every possible permutation can not only be impossibly time consuming, but can make your HTML file a mess of nested <if/else if//else> statements. While commercial websites may well have to attempt to maximise their user base, the Mysearch website took a more pragmatic approach by assuming that the majority of users would use the later versions of the most popular browsers, which then allows the coding and testing overhead to be dramatically reduced. What about the capability of the client-side device? As outlined earlier in the discussion addressing Web Navigation, this website divides each page into different section using the <div> tag. For the purposes of this discussion, we are only interested in the divisions across the page, which are sized based on a percentage of the total screen width, i.e. But what about the web navigation design? Of course, when reading this you have direct ccess to the actual menus implemented, which may be initially more interesting than the details of the implementation. The abbreviation (GIF) stands for 'graphics interchange format' and is a file format that can contain the information for an animation, as well as a static image. If the nature of animation is relatively cyclic, i.e. in terms of number of frames, then the animation can be placed within a page, just like any other image. The actual creation of each frame can be developed using offline programs, although the details will be deferred to another discussion. However, if the image is not cyclic or requires an extensive number of large-sized frames, then this approach becomes unworkable, due to excessive load-times. In this case, the second example above is illustrative of a java program, which can produce large scale, real-time animations based on a user's input. However, while the program size is fixed, load-times still can be problematic. Again, a more detailed outline of Java programming will be deferred to a later discussion. Is also known as the 80–20 rule and one well worth considering in the design of any website. The principle suggests that for many situation 80% effectiveness comes from 20% effort. So, in computing, Pareto's principle may reflect the optimization of efforts, e.g. Microsoft noted that by fixing the top 20% of the most reported bugs, 80% of the errors and crashes would be eliminated. Whether they then simply ignored the remaining 20% of crashes might be debated. 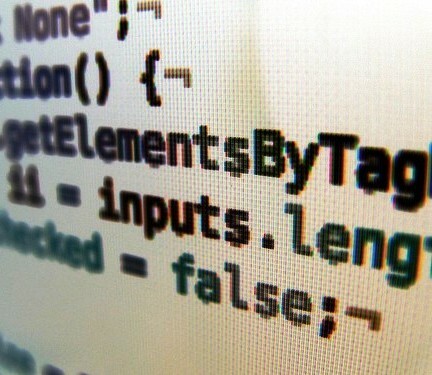 However, the rule really comes into its own, when learning a new subject or programming language.